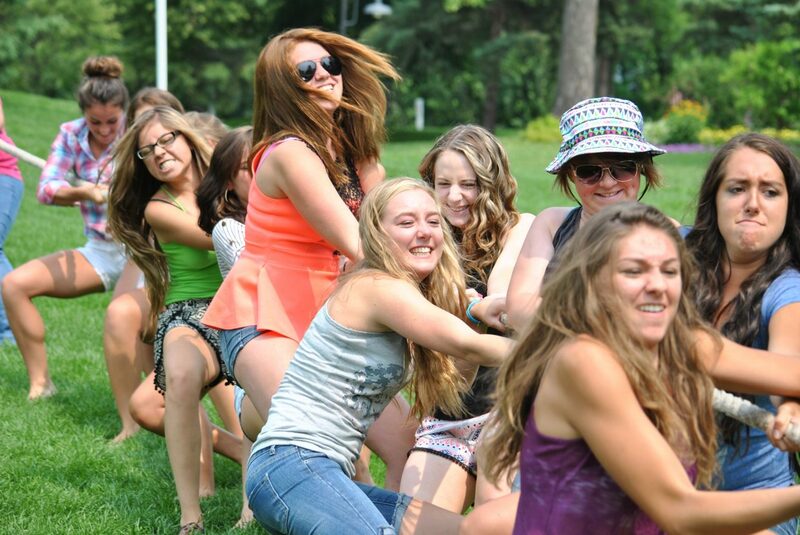 Members of Bear River Young Life engage in the tug-of-war as part of Castaway Club Young Life Camp. 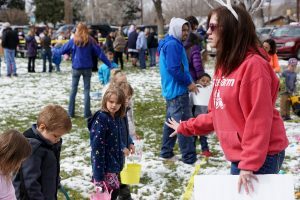 From front of rope to back: Micah Espinosa, Sara Petree, Tané Otis, Allie Dilldine, Brittany Young, Melissa Davis, Stephanie Duarte and Ary Shaffer. 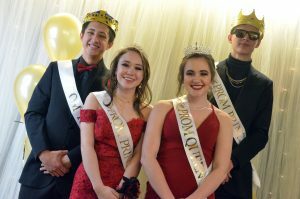 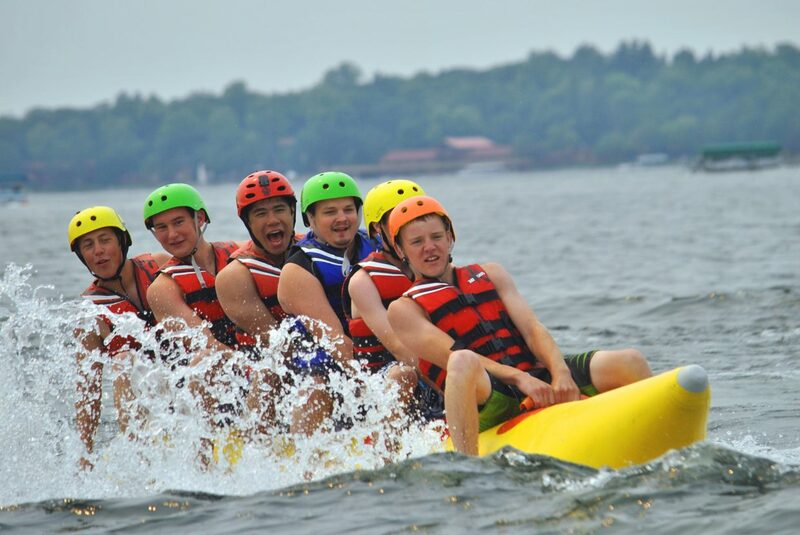 From left, Bear River Young Life members Mike Bingham, Isaac Chacon, Hugo Hernandez, Brett Bailey, Nate Gatlin and Cole Hoth cruise on a banana boat on Pelican Lake as part of Castaway Club Young Life Camp. 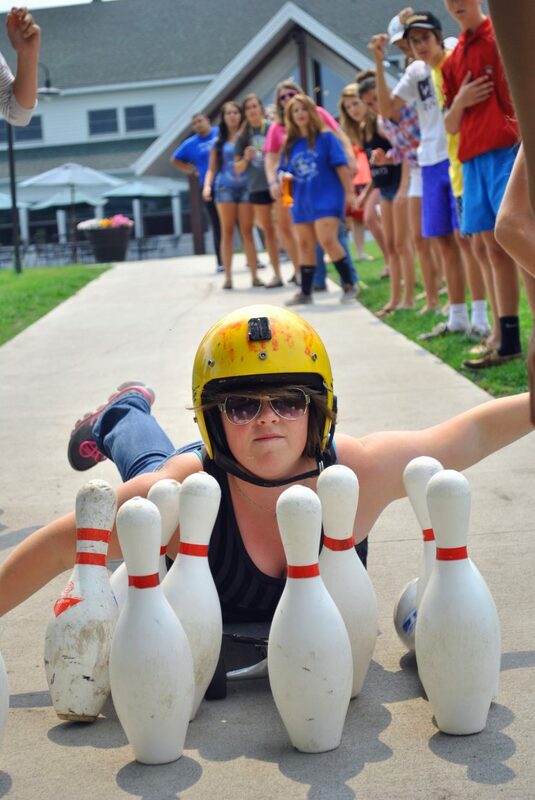 Tané Otis gets a strike as part of the human bowling activity at Castaway Club Young Life Camp. 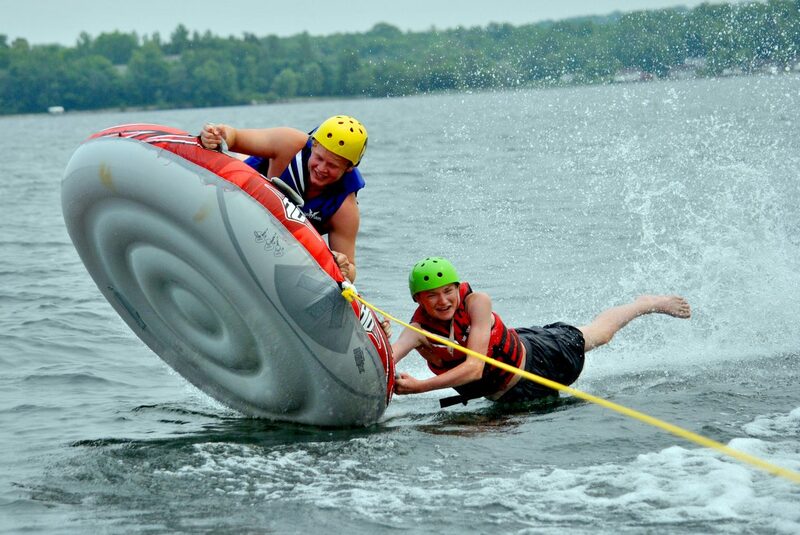 Lane White, right, holds on with one arm while Christian Carson commandeers a tube on Pelican Lake at Castaway Club Young Life Camp.